Replacing a roof on a house is a time-consuming but necessary process for most people, as every roof has an expiration. When that day comes to replace your roof, it’s important you know what steps get the job done properly. Even if you’ll be hiring a roofing contractor to take care of the work for you, you’ll still want to know what they are going to be doing throughout the process, so you know what to expect. Here are the basic steps for roof replacement. It’s always smart to get roofing price quotes from at least four pre screened and licensed roof replacement & installation professionals before starting your project in order to get the best price. If you have an asphalt or other disposable roof, you’ll need a trash container nearby. If you’re removing metal roofing you’ll want a place to store it until you can sell it as scrap or repurpose it. Get the garbage container set up as close to your house as possible and lay out some drop cloths around the bottom of the roof to protect against any accidental drops that you make. Now set up a series of roof jacks along the bottom of the roof holding 2×10 boards to catch slipping shingles and people. Purchase a safety harness and secure it to the peak of the roof to keep yourself from falling off during your roof replacement. One of the most important parts of installing a new roof is taking off the old one. If it is an asphalt shingle roof you’ll have to push a shingle fork underneath the shingles and pry them upward to curl the roofing off. Start at the top and work your way down. Remove the ridge cap shingles first and begin sliding the fork underneath each row of shingles and prying them up until they are loose. Put the removed shingles into the garbage and slowly work your way down until you remove all the shingles successfully. To remove a metal roof, use a full size pry bar—or drill if the screws aren’t too weathered—to pry loose the easterners holding the panels in place. Remove the ridge cap and slowly remove all the fasteners in one panel at a time working your way from one side of the panel to the other. After the panel is completely unhooked pull it off and set it down on the ground. Continue this process until all the panels are removed during your roof replacement. 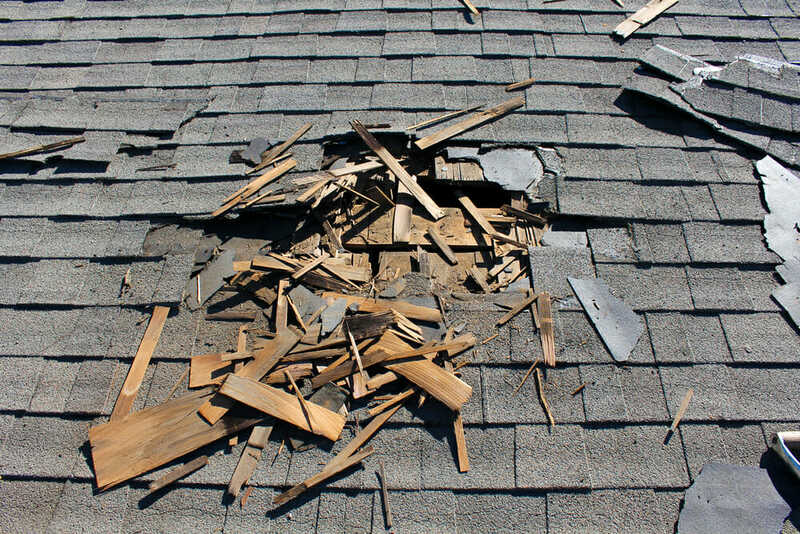 After you remove all the roofing and underlayment, walk around the bottom of your home and clean up the removal debris to ensure you have easy access when installing the new roof. properly to keep water out. To do this you should look at how it was installed previously and mimic what was done. Different areas require different flashing. Chimneys need step and counter flashing as well as a cricket in most instances. Vent boots need to be in good shape and valley flashing shouldn’t have any cracks or rust. Generally, you should always replace the valley flashing. This goes bad before the rest, because it takes the most abuse. After all the flashing is repaired or replaced it’s time to put the new roofing down, starting with new underlayment. Underlayment has a valuable role in the health of a roof. Because even the best laid roof will let a bit of water in behind it, the underlayment catches that water and sheds it so that the sheathing and framing below don’t get damp and rot. The first step of putting down underlayment is laying an ice and water barrier, if it isn’t already there. Put this down underneath the drip edge for added protection to your roof replacement. This might mean pulling up drip edge to install it and then fastening the existing drip edge back down once again. Nail the ice and water shield down along the edge of the roof for added strength, and then begin installing the underlayment that you chose. Begin running the underlayment at the edge of the roof, over the ice and water barrier and the drip edge. Fasten it down with cap nails just above the drip edge. Place the cap nails every four to six inches along the edge and then spread them out to around eight to ten inches around the rest of the underlayment. Overlap the first row with the next by at least six inches and follow the nailing pattern of the first with close nails at the edge and nails spread out more towards the middle. Continue the same pattern of overlapping and nailing until just below the roof’s ridge. Finish the underlayment by running the material over top of the ridge so that it drops down and cover the top edge of both rows of underlayment on either side. Fasten both bottom edges of the underlayment down firmly and you’ve finished the installation. Follow all the manufacturer’s installation instructions to get the new roof down in place. 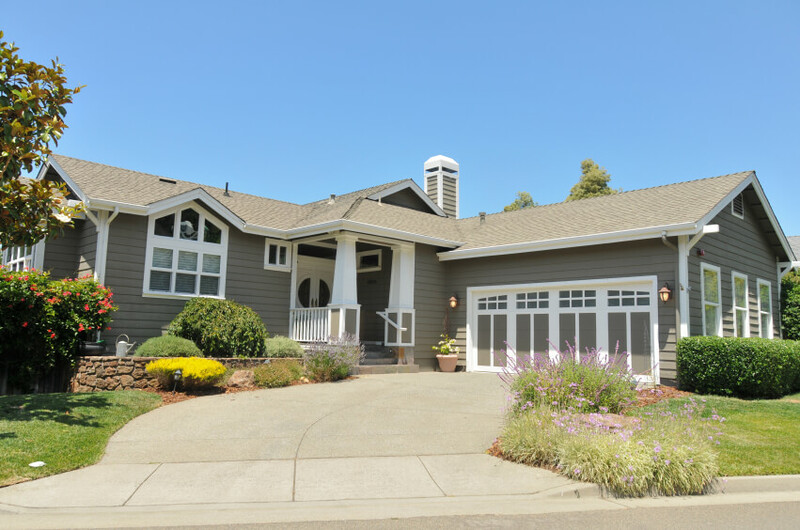 When laying a shingle roof, make sure to use starter shingles at the bottom and sides. 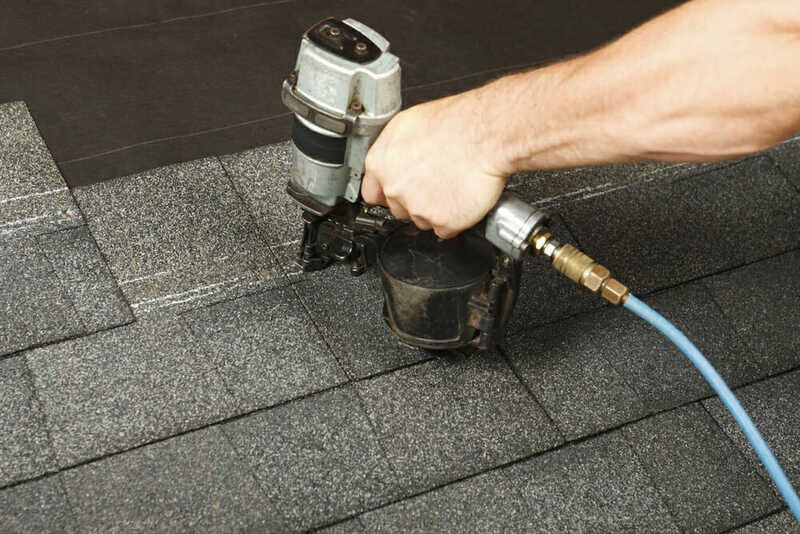 Stagger each row to keep shingles from leaking water. All the nails holding the shingles in place should be just under the tar strip on the shingles and installed so that no heads are showing. When installing a metal roof, get everything square before starting and screw up the vertical edge, screwing into each of the ridges rather than the flats. By screwing each vertical row before moving to the next the roof will go on flatter. Stick with quality screws that have wide rubber washers for maximum coverage and protection. Screwing into the ridges rather than the flats helps protect the screws from pooling water and will naturally keep water away from the fasteners overall. 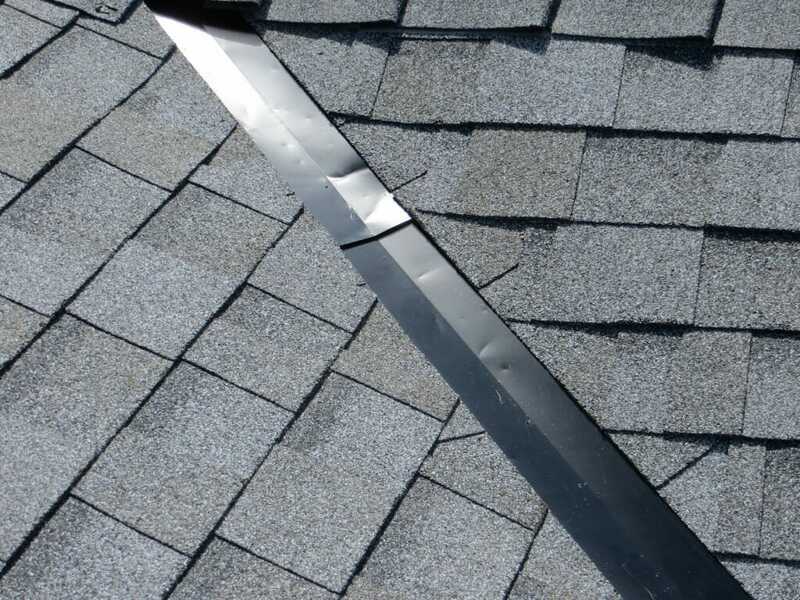 If you have any valleys on your home’s roof, it’s important to make sure that the valley flashing goes underneath the shingles or metal roofing. This flashing is designed to divert water down your roof and into the gutter system if you have one. If it’s installed on top of the roofing water can get in behind it and down into your roof itself. That’s why you want to protect it by installed it underneath the roofing. With the flashing underneath your roofing it is important to put a strong bead of roofing cement over top of the edges of flashing down your roof. This protects against water blowing up the side of the flashing and underneath the roofing and will help keep your roof dry. While you can probably complete all of these steps yourself there are some steps that are easier than others. For instance, tearing off an old roof is something that most any handyman can handle with enough time and willpower. If you’re looking for a way to save on your next roofing project, but you don’t want to do all of the more difficult parts, you should consider handling the tear off and leaving the installation up to a roof contractor. This will save you big and you’ll still have the reassurance of having your roof installed by a professional contractor. Now that you know everything that’s involved with the project you can decide if it’s something that you want to try at all. Replacing a roof on a house is a comprehensive task and something that shouldn’t be taken on lightly. Be sure to plan for clear weather and get to work right away so that you can accomplish the project before rain has a chance to make its way into your home. When roofing, getting the job done quickly is vital.